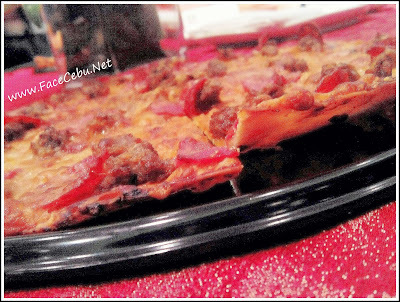 Greenwich, the country’s favorite pizza and pasta chain, launches its latest product to Cebu, the Perfect Thin Crust Pizza. 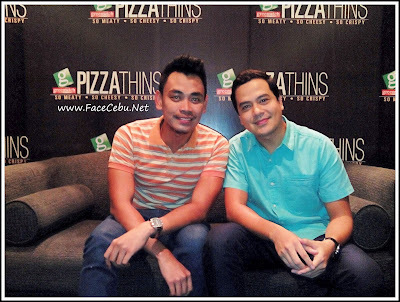 Attended by Cebu Media, Press and Bloggers, the event was graced by Greenwich’s long time pizza endorser, John Lloyd Cruz to personally present and introduce their latest treat. This new Greenwich Pizza Thins is the delightful latest addition to the Greenwich menu touted to tickle the taste buds of discriminating pizza lovers. 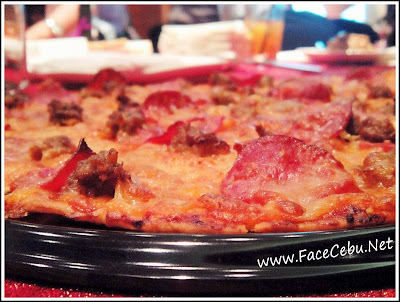 Greenwich served its sumptuous crispy thin crust pizza for the guests to enjoy. And right from the first bite, guests discovered why Greenwich’s new offering is far better and more enticing compared to other thin crust pizzas available. Marco Lobregat, Andi Manzano and Gino Quillamor joins the beautiful and fun Greenwich barkada of John Lloyd Cruz, Lloyd Zaragoza, Vince Canizares and Mika Lagdameo. Bringing the Greenwich Pizza Thins to life is the new wave of Greenwich barkada who were also formally introduced during the launch via the Behind-the-Scenes of the commercial. They are sought-after Manila radio jock and TV personality Andi Manzano, popular Manila radio DJ and host Gino Quillamor, and model turned entrepreneur Marco Lobregat. Greenwich main man John Lloyd Cruz was also on hand to complete the new barkada who epitomize the fun-loving nature of the Greenwich brand.